IBM 'Summit' winning the title of world's fastest supercomputer and a scandal in Japan shake up the Top500 supercomputer rankings. There’s a shake-up – and a scandal – in the Top500 ranking of the world’s most powerful supercomputers. The U.S. has retaken first place in the Top500 list after five years of dominance by China. Computers built by IBM for the U.S. Department of Energy have pushed the previous two record-holders, both Chinese, into second and fourth place. But the previous fourth placeholder, Japan’s Gyoukou, is nowhere to be found, after one of its creators was arrested on suspicion of fraud. Washout: ExaScaler's immersion-cooled Gyoukou supercomputer has been wiped from the Top500 list of the world's fastest supercomputers after Japan's Agency for Marine-Earth Science and Technology cancelled its contract. The world’s fastest computer is now Summit, built by IBM for the DoE’s Oak Ridge National Laboratory, with a performance of 122.3 petaflops (floating point operations per second). It pushed China’s 93-petaflop Sunway TaihuLight into second place after two years at the top. In fact, it’s a double win for IBM because the company built another computer for the DoE, Sierra, and it’s taken third place, pushing another Chinese computer, Tianhe-2A into fourth. Both Summit and Sierra use IBM's Power9 processors with Nvidia accelerators. 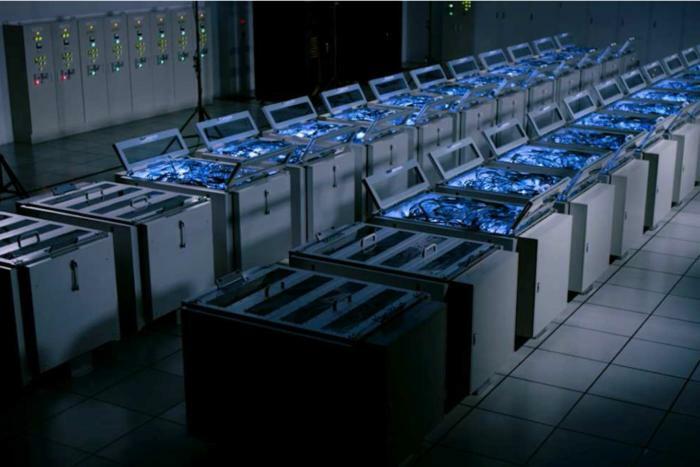 Each node of the Summit supercomputer built by IBM for the U.S. Department of Energy's Oak Ridge National Laboratory has two IBM Power9 CPUs and six Nvidia Tesla V100 GPUs. Tianhe-2A held the top slot from June 2013 to June 2016 before being deposed by Sunway. 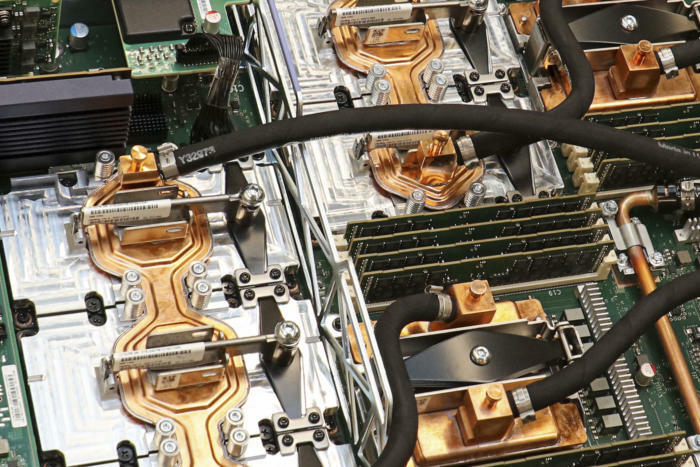 It has slipped down the rankings despite a massive – and massively efficient – upgrade that almost doubled its computing power, from 33.9 petaflops to 61.4 petaflops, for a less-than-4-percent increase in power consumption. What, then, of Gyoukou, the computer supplied to the Japan Agency for Marine-Earth Science and Technology by Exascaler? Gyoukou leapt up the rankings in November 2017 with a reported performance of 19.14 exaflops and a claimed power efficiency of 14.17 gigaflops/watt, almost double the efficiency of its rivals, following an upgrade using thousands of 2048-core SC2 accelerators from Japanese chip company Pezy. It ought by now to be in fifth place, down from fourth in November, but in December 2017 the Tokyo District Public Prosecutor’s Office arrested Motoaki Saito, the founder and CEO of Pezy and chairman of Exascaler, on suspicion of fraud, according to Japanese press reports. In April 2018, Exascaler said that the earth-science agency had canceled its contract for the upgraded Gyoukou and asked the company to restore the previous version of the computer. Japan can still hold its head up high, though, as it has a new entry in the Top500, coincidentally taking the fifth place vacated by Gyoukou. The AI Bridging Cloud Infrastructure (ABCI) was built by Fujitsu for Japan’s National Institute of Advanced Industrial Science and Technology (AIST). It delivers a performance of 19.9 petaflops using 20-core Intel Xeon Gold processors and Nvidia Tesla V100 GPUs. Despite Gyoukou’s disappearance from the rankings, Japan now has 36 computers in the Top500, up from 35 in November. Elsewhere, though, it’s a largely Chinese affair: There are now 206 Chinese supercomputers in the list, up from 202, and only 124 U.S. systems, down from 143. Russia, the forgotten superpower in supercomputing, has quietly placed a fourth system in the Top500 list: It’s a Cray XC40 at the Russian Federal Service for Hydrometeorology and Environmental Monitoring, and its performance of 1.2 petaflops puts it in 173rd place.